The odds are good that you know a narcissist—probably a lot of them. The odds are also good that they are intelligent, confident, and articulate—the center of attention. They make you laugh and they make you think. The odds are also that this spell didn’t last. As a Time writer and science editor, Kluger knows how to take science’s new ideas and transform them into smart, accessible insights. 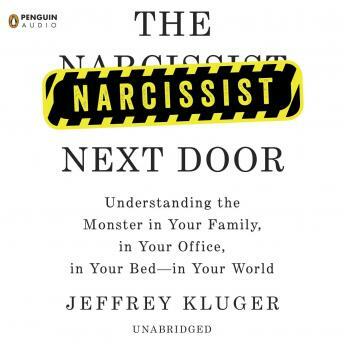 Highly readable and deeply engaging, this book helps us understand narcissism and narcissists more fully.